Beautifully crafted Two tone (bright and satin) Gold plated with oxidized silver depiction of the four evangelists, Matthew, Mark, Luke and John. The face of the monstrance is adorned with red stones, oxidized silver detailing and enamel crosses on the top of the face.This magnificent monstrance measures: height 28", base 7", rays 13". All purpose Luna included. Upgrade to Secure Acrylic Glass Enclosed Luna to Hold 2 ¾" Host, at additional cost. 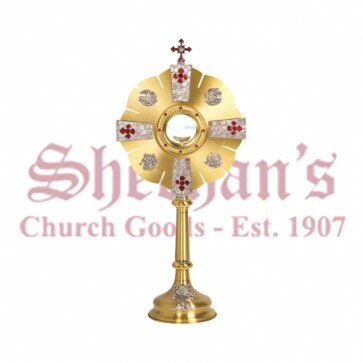 A Monstrance sacred vessel designed to expose the consecrated Host to the congregation either for adoration in church or carrying in procession, particularly on the Solemnity of the Body and Blood of Christ. 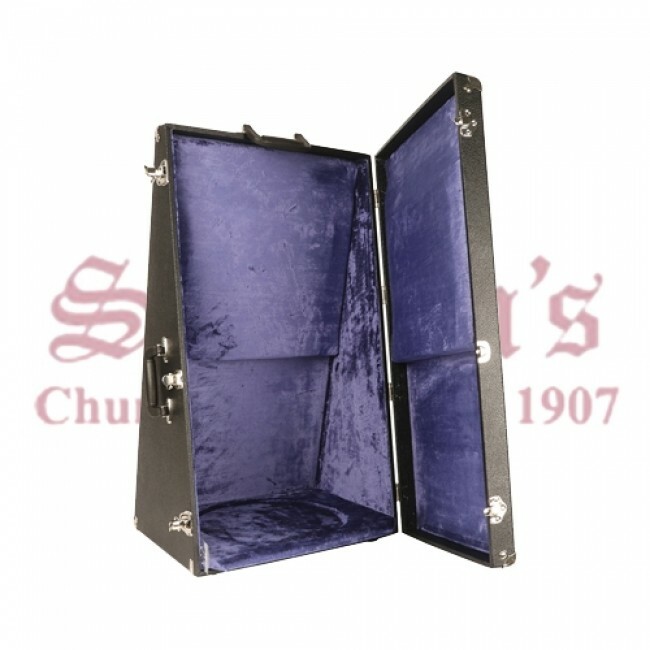 Monstrance Carrying case is also available at the additional costs.